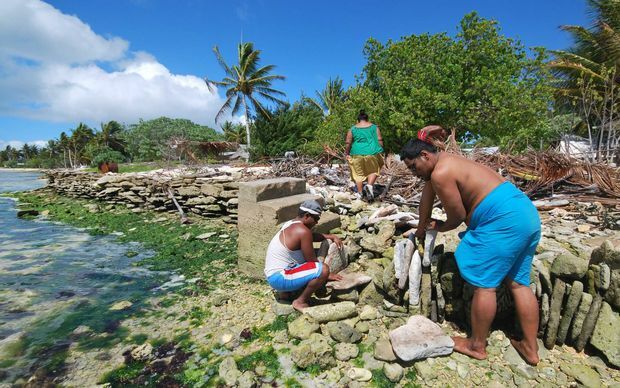 Kiribati has made an urgent appeal to the UN Security Council for help in combating climate change. Freya Mathews from La Trobe University in Australia, wrote a provocative opinion piece a few years ago – suggesting the news media “treats nature as a backdrop to the dramas and delights of human life.” Mathews suggests in the 21st century, human dramas are driving nature’s destruction, and that destruction threatens an end to our delights. The environmental crisis unfolding all around us seems to be far less important to local, national and global news companies. On the same day that scientists publish a report in Nature journal revealing that even pasture-based beef is unsustainable, The Gisborne Herald reports on the national rugby team planned visit and a court case about a local man tricking boys into sending naked pictures of themselves. Other news about the global environmental disaster that didn’t rate a mention on the day included the link between mass migration from Africa to Europe driven by climate change, an estimate that inaction on climate change will cost US$44 trillion, and climate refugees plea for help from New Zealand. Likewise, I wonder are we all completely mad? Are we more interested in a sports team visit and dirty young man than evidence of the unravelling of our primary industry and it’s contribution to the global climate crisis? But isn’t this prestige being squandered, if those responsible for the news focus generally on items of relative triviality while ignoring the literally earth-shattering changes that are occurring at an accelerating pace all around us? Images spring irresistibly to mind of people in the brightly lit lounges of the Titanic gossiping animatedly about scandals in politics and religion while around them the vast forces of nature are closing in. “Perhaps this is the deeper reason why our newspapers, and web sites based on them, are rapidly losing relevance. As they strive to cater more and more blatantly to what they imagine are the tastes of the market, they lose their entitlement to names like ‘guardian’, ‘leader’, ‘tribune’ or ‘courier’, let alone ‘herald’. They become instead mere ‘tattlers’, purveyors of tittle tattle, to which people instinctively pay little serious attention.